"From the moment we were in contact with Jordan and Meg, we knew that there was no need to look any further. Through a face time session, we could tell how passionate they were about what they do. Jordan and Meg are truly talented. They are the perfect husband and wife duo and are so kind, easy going and to top it off they take beautiful photos. We first met Jordan for our engagement photo session. My husband and I are not so great at taking photos, so Jordan gave us just the right amount of ‘photo tips’ to ensure that each photo turned out beautiful. Jordan looks for the perfect place to find the most beautiful lighting. I can truly say that our photos looked incredible. He made my husband and I feel comfortable during a time where we were both out of our element. On our wedding day, we had the opportunity to meet (in person) Jordan’s wife, Meg. She is just as patient and kind as Jordan. Together they make a great team! My whole bridal party talked about how kind they were throughout the entire wedding day. While Jordan takes the main photos, Meg finds the little detail photos that truly makes the day so magical. They are so easy going and make you feel so comfortable while taking photos. When our special day was over, Jordan and Meg were prompt with sending sneak-previews of our photos. Every photo they sent us, we fell in love with and probably looked at them over 100 times within the first two days! Within just a few weeks, (I think it was two!) Jordan and Meg had ALL of our photos ready. My husband and I were able to re-live this special moment over again as we looked at the beautiful photos that they captured so perfectly. Thank you to Meg and Jordan for capturing our special day to a tee. We will now have these photos that we will cherish forever thanks to you!" "... From the very first time we chatted with them, we knew they were the people we wanted by our sides on our wedding day. They made the entire process so easy and they are seriously so talented. We had never taken professional photos before our engagement session so naturally we were a bit nervous. Jordan immediately made us laugh and feel so comfortable in front of the camera turning the experience into a wonderful memory. Meg is so organized and knew exactly how to plan the wedding day so that things flowed and we captured every photo we wanted (plus we didn't have to worry about a thing!) ... the day could not have been more perfect!! They were there to capture the love and happiness of our day and wound up contributing to it! Their professionalism and talent is unrivaled. ... these two know how to capture those small, intimate moments that truly make the day feel magical ...it was a blessing to find Jordan and Meg. I feel as if we've known them forever. Not only will we have beautiful photos to remember our day forever, but we also walked away from it with friends." "I can't even put into words how ecstatic and in love I am with our wedding photos! Jordan and Meg were everything I was hoping for and more. Their style, the dreaminess of their photos, their laid back demeanor, and honestly two of the nicest people you will ever meet! I instantly fell in love with their style the second I saw their blog. After meeting them over coffee and discussing my vision I was so relaxed and excited! I knew I didn't need to worry at all about our wedding day being perfectly captured. The day of they put me so at ease. My husband and I were both a little anxious about our picture being taken, especially such intimate moments. We also share a passion for photography and art and were desperate for the perfect wedding photos. I never thought I would say this, but having our pictures taken was one of my favorite parts of our day! Jordan made us feel so comfortable and relaxed. We were just laughing the whole time! And we both enjoyed the time to get away and be alone. Jordan and Meg are an absolute dream to work with! I couldn't imagine having a better team to capture you're wedding day! I will cherish these photos forever and am so grateful to have them." "Exceeded any expectation we could have imagined. Not only did we receive the most breathtaking photos ever, Jordan and Meg are two of the nicest people you will ever meet. They are extremely passionate about capturing the love of that day and do by shooting some of the most elegant and unexpected moments of that day. I will forever cherish the photo they got of my face briefly welling up with tears as my husband read me his vows (they even got one of my made of honor biting her own lip so hard as she tried not to sob during the ceremony) and my husband bent over in his chair laughing as his best man read his speech. They capture the moments that you want to hold onto forever and now truly can because of the photos they were able to get. Just book them now, no matter the cost, they are absolutely worth it and I would've paid triple what I did to get what we did. " "...the day and the pictures couldn't have been more perfect! Every single photo is flawless, the lighting is beautiful and the candids are natural. ...I was drawn into their style of photography and how natural everything looked. My husband and I met with them for an initial meeting in their home and immediately booked! Our engagement session photos turned out beautiful (even with a torrential rain downpour with lightning in downtown Chicago!) Both Jordan and Meg were the easiest, friendliest, photographers to work with. They always made us feel at ease and comfortable when being photographed. I knew that our wedding photos would turn out just as wonderful and they did! I can't stop looking at the photos, they are one of a kind. Jordan & Meg's ability to tell a story and capture the precious moments is a true talent. I could not have asked for a better collection of wedding pictures on the biggest day of our lives. Jordan & Meg truly care about the work they produce because it shines through in every photo they take. 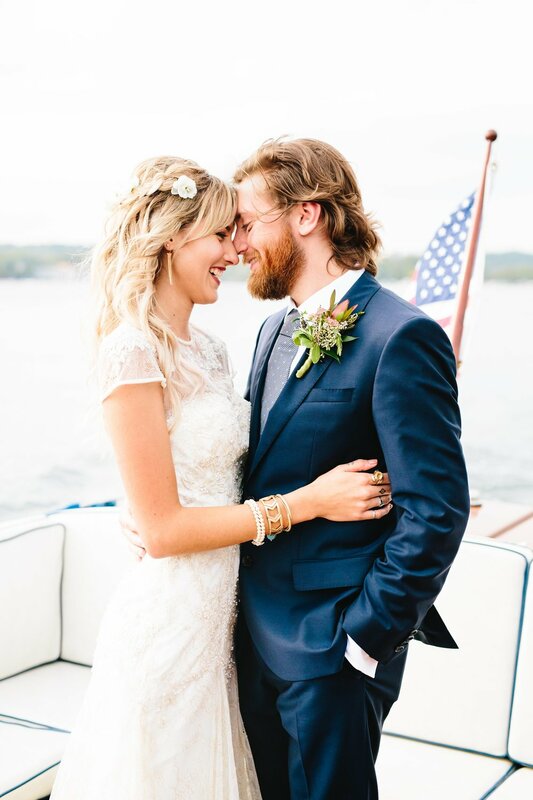 We could not be happier and highly recommend Jordan Imhoff Photography for your wedding needs! You will be working with the best!" "Choosing the right photographers was a huge stress factor for us at the start of wedding planning. I could not be happier with our choice to go with Jordan and Meg! Our entire experience, from first skype chat, engagement session, scheduling the day of to the actual day - everything was easy and even more, Jordan + Meg made us feel so comfortable and were always on top of their game. I am continuing to get endless compliments on the gorgeous photos. Most importantly, the pictures are beautiful and for a couple who feels they are both not the most photogenic - we LOVE our pictures. I had my full link of photos available a week after the wedding - faster than any of my friends. More than the photos, Meg + Jordan are a joy to have around. They were so nice to work with, so nice to each other and made everything stress free. There was not one time during my wedding day that I questioned whether they got the right shot, or whether something was being captured. They took care of everything. I would recommend Jordan + Meg to any friends and family for future and truly hope I have the chance to work with them again if I ever need professional photography." "It's almost a crime how beautiful the photos by the Imhoffs are. Needless to say, we absolutely love our photos. They captured so many beautiful moments, and the way they utilize the natural light is so amazing. They are seriously some of the most talented photographers. We will never regret spending money on the Imhoffs. Also - they are just a joy to work with! Jordan is just so sweet, he made us laugh, and he's just overall an awesome person to work with. I cannot recommend the Imhoffs and their work enough!" "This team was absolutely FABULOUS. There were many people involved in our summer lakeside wedding, all of which were absolutely wonderful, but no one compared to our photographers. They were sweet, non-obtrusive, flexible, and fun! We picked Jordan and Meg after a strong recommendation from our wedding planner, and we could not have been more happy to have them part of our big day. As an aside, our whole wedding album was sent to us mere weeks after our wedding day. After hearing from all of our friends and family who got married before us, we were expecting months of waiting in anticipation for our photos. We were pleasantly surprised to say the least! Thank you for helping make our incredible weekend into a lifetime of memories." "Choosing photographers for our wedding day was by far the most stressful part for me. Photography was at the top of my priority list and I wanted to have the most beautiful photos to look at the rest of our life. I stumbled upon Jordan and Meg's website and fell in LOVE with everything. From the moment we spoke, I knew choosing them was the best decision! They are kind, patient, communicative, honest, trustworthy, fun and down to earth. Just by chatting with them briefly, you can tell they love what they do and are completely focused on making your wedding day the best it can possibly be.... They really cultivate a relationship with the bride and groom, instead of just being people behind a camera. I was more than at peace about photography on wedding day... I fully trusted them to capture everything beautifully, and they did not disappoint. Not only did they capture everything, they did it so discretely! I was in awe of how seamlessly the whole day unfolded and they didn't miss a beat. Choose Jordan and Meg as your wedding photographers. You will have the most exquisite photos, dear friends, and a peaceful aspect of planning. They are more than photographers on your wedding day - they are loving friends who capture the love and beauty of a once in a lifetime event. We love Jordan & Meg - if I had to plan my wedding all over agin I wouldn't change a thing!!!" "Words cannot describe how AMAZING Jordan and Meg Imhoff are! They did an incredible job photographing our wedding... They are extremely talented, professional and kind. Not to mention beyond organized! Our pictures turned out absolutely stunning and I'm so happy we decided to work with them. We would absolutely recommend them to everyone we know...and we did! Our guests were asking all about them. Working with them was seamless and although we are out of state, we will work with them again in the future. Thank you so much, Jordan and Meg!" "... I cried as I scrolled through the most amazing moments of our big day that were captured so elegantly. I can't stop looking at them! Jordan and Meg are truly talented. I met them when they photographed my best friend's wedding, and I knew I had to use them for my own. Their ability to find the perfect natural light makes each and every one of their photos so ethereal and breathtaking. My husband and I had no idea how to pose when we went into our engagement session. I usually hate the way I look if I'm not simply smiling at the camera, so I was worried about how things would turn out. Jordan was so great at guiding us and telling us what to do. His directions led to the most natural and beautiful photos. Seeing how wonderful the engagement photos turned out relieved so much wedding stress. I was able to go into my big day knowing that Meg and Jordan would do an amazing job. All of you brides know the time, effort, and money that goes into planning your wedding. The day goes by in an instant, so capturing everything in photos is so important. I could not have imagined a better collection of pictures, and I also could not have asked for a more lovely couple to be with us on our big day. You can tell they care about their brides and grooms, and they love what they do. We could not be happier. Thank you so much Meg and Jordan!"